يقع Kirra Surf Apartments في كولانجاتا, جولد كوست, هو خيار شائع بين المسافرين. يمكن من هنا للضيوف الاستمتاع بسهولة الوصول إلى كل ما تقدمه هذه المدينة النابضة بالحياة. إن سهولة الوصول من الفندق إلى المعالم السياحية الشهيرة الكثيرة في المدينة كمثل كيرا, مطار جولد كوست, Coolangatta Tweed Medical Centre هو استثنائي بحد ذاته. إن الخدمات التي يقدمها Kirra Surf Apartments تضمن للنزلاء إقامة مريحة. تتضمن الميزات الرئيسية في هذا الفندق: تخزين الأمتعة, واي فاي في المناطق العامة, صف السيارات, رعاية أطفال, مرافق للشواء. لقد جهزت هذه الإقامة الفندقية بعناية فائقة لتوفر مستوى عالي من الراحة. في بعض الغرف يجد النزيل تلفزيون بشاشة مسطحة, مسبح خاص, حوض الاسترخاء, غرف لغير المدخنين, مكيف هواء. يمكنك الاستمتاع بالأجواء المريحة التي تقدمها مركز للياقة البدنية, ساونا, مسار جولف - ضمن 3 كم, حمام سباحة خارجي, حديقة طوال النهار. مهما كانت أسبابك لزيارة جولد كوست، فإن Kirra Surf Apartments هو الخيار الأفضل لإقامة مثيرة وممتعة. Initially there was some issues with the booking as we were forced to upgrade to three bedroom apartment for 4 adults and two young kids just couple days before the trip (although it was all okay when we first booked the two bedroom apartment with the same number of people at first place). The excuse they gave was due to fire safety regulation...... So we had no other choices because it was too late to find other accommodation and the price just went up everywhere. The apartment was nice, clean and equipped with everything you need for a short weekend escape. The beach/ocean view from the balcony was magnificent and we enjoyed it very much! The location is perfect, just closed to everything you need but not too crowed in the area. Upon entering the our unit which was 803, it was evident that housekeeping is not high on the priorities with the unit being very dirty, the walls had hand hand/finger marks all over them, with chips and scratche on most walls. There was mould/ grime on the blinds and glass door frames. There was dirt and grime in plain view everywhere you looked. There were dehydrated mango seeds in the insinkerator that looked like they had been there for a year. Only ONE TV which was in the lounge. We saw two large cockroaches in the unit. The size of the unit and balcony area was very generous, but that was to be expected being that it is a Sub-Penthouse. This hotel definitely needs to lift their game. The facilities are very lacking. There is no spa at all in the pool area, the sauna didn't have a bucket and ladle and is resteicted to 18+ which was a great disappointment to my children. The gym has one exercise bike, two running machines and a single weight machine. A very big disappointment considering this was a short honeymoon stay. 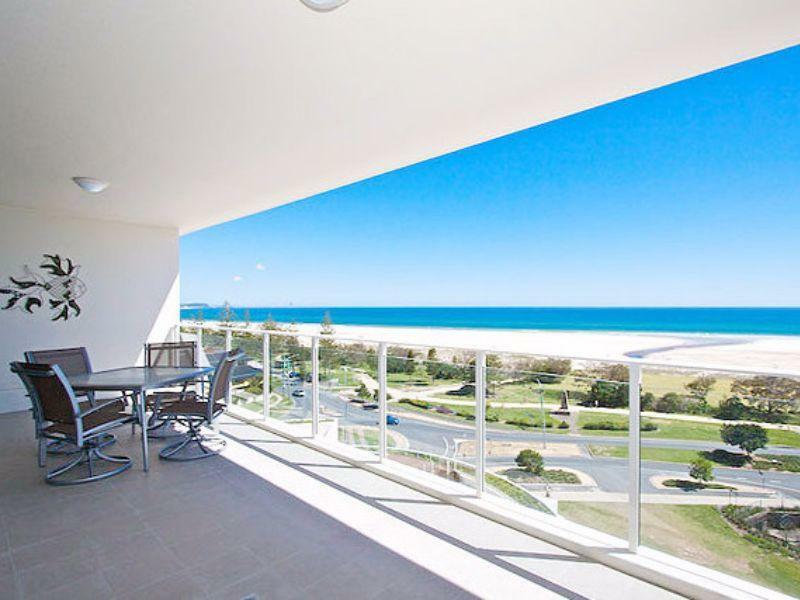 Kirra Surf Apartments makes it easy to stay away from home. 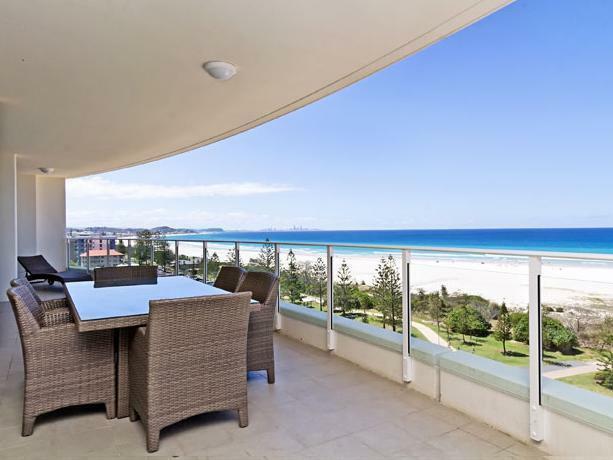 The location and the ocean views were amazing, everything is accesible and you can walk or take a short drive to Kirra beach and Coolangatta restaurants. The staff were friendly and helpful. Each apartment is privately owned so ensure your accommodation suits you. 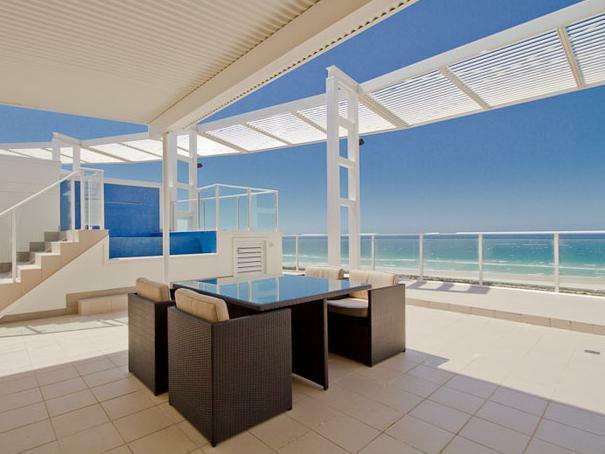 Great pool and sauna and Kirra cafe and surf shop is downstairs for convenience. We would come back anytime. 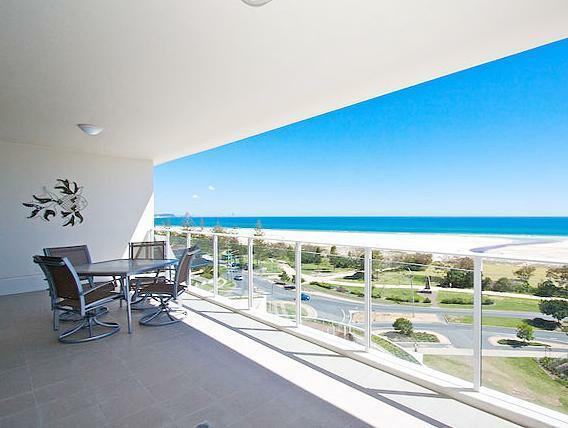 My wife and I loved our time in the Kirra Surf Apartments, it had a lovely view, comfortable room with air conditioning that worked very well. 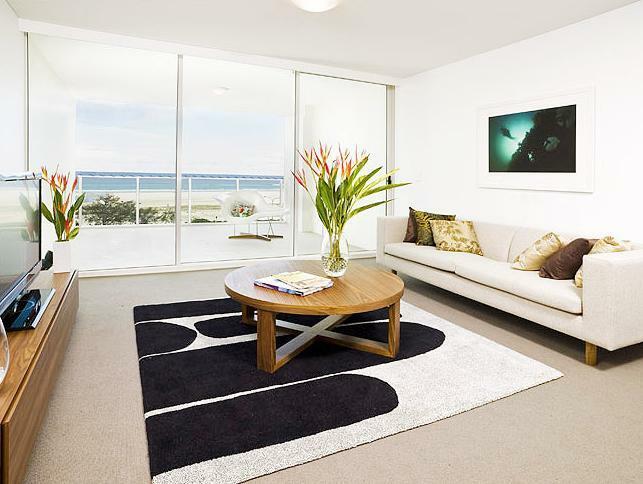 It's stones throw to the beach and an easy trip to Coolangatta for evenings out. It would suit people looking for a beach getaway that is uncomplicated. I really liked the two car spaces in a secure lock up garage. Nice apartment with all you need! What would of been a beautiful apartment back in it's day has unfortunately seen better days. Aircon was in a fault state upon arriving but was quickly fixed. One of the toilets didn't flush properly. The en-suite sink took forever to drain. Stained curtains. Rip on dining room chair. Rusty bottoms on bench stools. Veranda was sticky - Could not walk on it bare foot. The room wasn't a true reflection of what we saw from the photos. Location. Very friendly helpful staff! Great pool! These apartments are really lovely and the location is great! The manager's where very friendly and made us feel very welcome. Great ocean views and we were lucky enough to see whale's frolicking in the ocean whilst sitting on our balcony. Apartments have everything you would need for a home away from home. The infinity pool looks great day or night. We stayed at 3 rooms with big balcony of penthouse. Great view of Ocean. Lovely staying for 3 nights. Hi Before we booked this hotel we did a great deal of research including reviews because we have been burnt before. Their website specifically states that three bedroom two bathroom apartments are situated in the tower to ensure ultimate views. Well we were placed in the side part (not tower) on level 1 despite requesting a higher floor. Although we had a nice view straight ahead, due to rhe design of the balconies we could not see up or down the coast just the little section straight ahead and all the beach (ie sand) was obscured due to big white tents being set up for a surf carnival. This constitutes as false advertising. The reception for all TVs "glitched" all day every day for our entire 7 day stay so down time for the kids or relaxing watching TV (even the news) was an impossibility. When mentioned to staff they said "that's the age old problem of satellite" - well not if you consider yourself a 4 star hotel. In hindsight the lack of a spa by the pool was also disappointing. We would not recommend staying here but perhaps booking Nirvana down the road instead which is better situated and a higher standard. I also wondered if our requests weren't taken into consideration due to the fact we didn't book with them direct. Great 3 bedroom apartment with a private pool and awesome views. Distance from amenities, great apartments! Lovely views! Overall, it was pleasant. There was a day where there was no hot water and we had to boil our own water so that was a hassle. Gym was too small but the boardwalks along the beach made up for it. Overall, it was a pleasant stay. Loved it. Wished i booked for longer than 4 days. Location next to a nice cafe and and across road from beach. Nice pool. Great location to laze by the pool, on the beach or in the downstairs cafe. Stroll into Coolangatta for shops. Apartment was lovely, well furnished and good kitchen. Apartments lacked some amenities you would expect, was the only let down (byo tissues + toilet paper etc...). Definitely recommend for families, nice pool and good beach for kids. 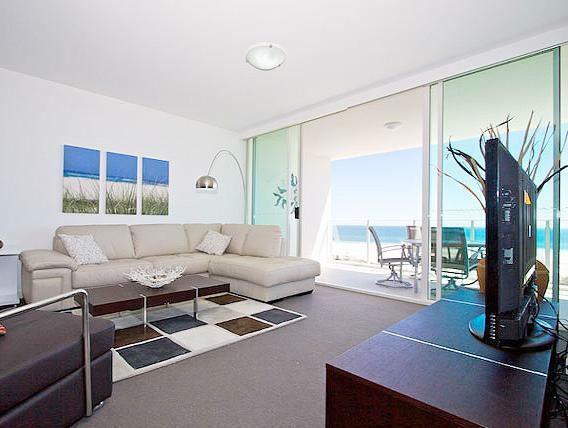 We had a wonderful stay at the Kirra Surf Apartments! We had a gorgeous apartment that was so stylishly decorated and fully functional with laundry amenities, kitchen appliances and two full bathrooms. The balcony also stretched across the two bedrooms and the living room and there was a completely unobstructed view of the ocean. We even woke up one morning to see whales splashing in the ocean. I highly recommend this place for anyone who is looking for a relaxing get away and romantic couple time. The apartment we had was also great for a small family. We will definitely go back there again. Loved our stay, the only thing that was annoying, was that we were there for a family wedding and because our room was quite some distance away from other family members, it was always a hassle to go to their rooms. Because u only have access to your area. This I really didn't understand.. I actually thought that being a group of people that we would sort of all be in the same vicinity of each other.